Description: "WiSER (Women in Science, Engineering & Research) is seeking volunteers to join our team! Everyone is welcome to attend! Stop by and meet the people from WiSER. Learn more about what we do and how we help the community. 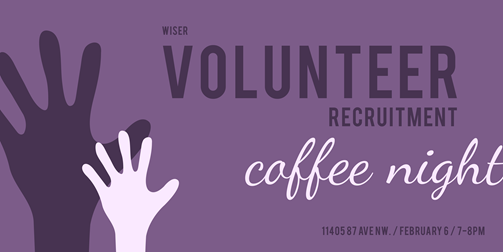 We will also be recruiting volunteers for our professional development workshops, coffee nights, seminars, as well as event planners and administrative volunteers. Whether you'd like to become a guest attendee for our workshops, event staff, or assist us with program development and community outreach -- come by and meet us and get involved! We will be gathering at the Starbucks inside ECHA (near NE entrance). Grab some hot beverage and let's chat!"